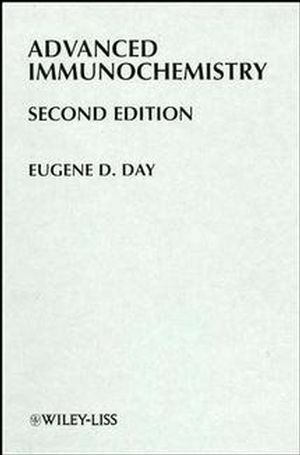 Current Protocols in Immunology is a three-volume looseleaf manual that provides comprehensive coverage of immunological methods from classic to the most cutting edge, including antibody detection and preparation, assays for functional activities of mouse and human cells involved in immune responses, assays for cytokines and their receptors, isolation and analysis of proteins and peptides, biochemistry of cell activation, molecular immunology, and animal models of autoimmune and inflammatory diseases. Carefully edited, step-by-step protocols replete with material lists, expert commentaries, and safety and troubleshooting tips ensure that you can duplicate the experimental results in your own laboratory. Bimonthly updates, which are filed into the looseleaf, keep the set current with the latest developments in immunology methods. The initial purchase includes one year of updates and then subscribers may renew their annual subscriptions. 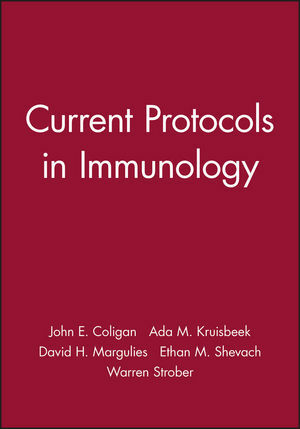 Current Protocols publishes a family of laboratory manuals for bioscientists, including Molecular Biology, Human Genetics, Protein Science, Cytometry, Cell Biology, Neuroscience, Pharmacology, and Toxicology. Guest Editors: Patricia Brown (Frederick, Maryland); John C. Donovan (Wyeth Research). Past Editor: Ada Kruisbeek (Netherlands Research Institute). 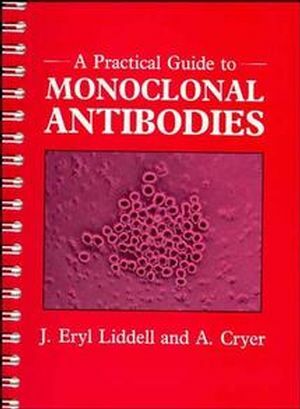 In Vitro Assays for Mouse Lymphocyte Function. In Vivo Assays for Mouse T Cell Function. Cytokines and Their Cellular Receptors. Isolation and Analysis of Proteins. Detection and Analysis of HIV. Animal Models for Autoimmune and Inflammatory Disease. Engineering Immune Molecules and Receptors.